Jonathan Ptak is a partner in the firm’s class action group. His practice focuses on class proceedings, professional liability defence and commercial litigation. He regularly appears before Courts at all levels in Ontario, including the Superior Court, Divisional Court and Court of Appeal. Jon has been recognized by Lexpert as a leading practitioner in class proceedings. He is counsel in class actions in a wide variety of areas, including product liability, employment law, public health, securities misrepresentation, pension matters, and Crown liability. He was lead counsel in Rosen v. BMO, which was the first overtime misclassification case to be certified in Ontario (and not overturned on appeal) and which subsequently settled. He is lead counsel in Papassay v. HMQ involving allegations about the Children’s Aid regime and a historic failure to make claims on behalf of Crown Wards for abuse they have suffered. 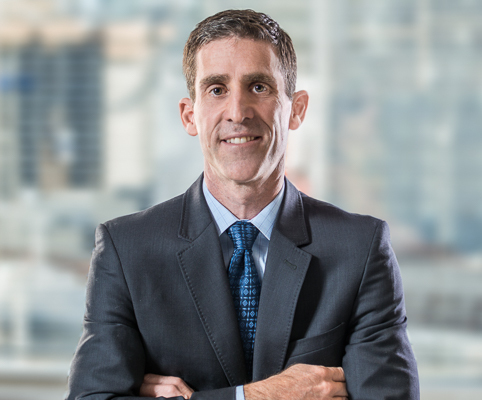 Jon has been involved in some of the largest class action settlements in Canada, including the settlement with Ernst & Young LLP in the Sino-Forest class action for $117 million, which is the largest settlement with an auditor in Canadian history. In Jon’s professional liability defence practice, he has acted for lawyers, home inspectors, dentists, financial advisors and other professionals. His commercial litigation practice includes complex commercial disputes, pension litigation as well as other matters such as employment. A list of Jon’s current class action cases is appended below under the Experience tab. Prior to joining Koskie Minsky in 2002, Jon practiced at a large international law firm. He was also previously a caseworker and division leader at Downtown Legal Services (a community legal clinic) doing criminal defence work. Jon obtained his Bachelor of Laws from the University of Toronto, where he won numerous mooting prizes. He also spent a year abroad in Kuala Lumpur, Malaysia at a public health agency focusing on law reform. Jon speaks and publishes regularly on issues related to class actions and commercial litigation. He is a member of the Advocates Society and Ontario Bar Association. "Settlements under the Class Proceedings Act, 1992: Protecting absent class members and advancing the goals of the Act for the OBA Conference entitled "The Essentials of Settlement: From Offers to Handshakes" held on Dec 10, 2008. "Aggregate Damages under the Class Proceedings Act, 1992: Ensuring a Wrong Doesn't Elude a Remedy" for the 5th Osgoode Symposium on Class Actions held in April, 2008. "The Court's Discretion to Vary or Set Aside a Decision Before a Formal Judgment is Entered", Federated Press, Ontario, 2002.